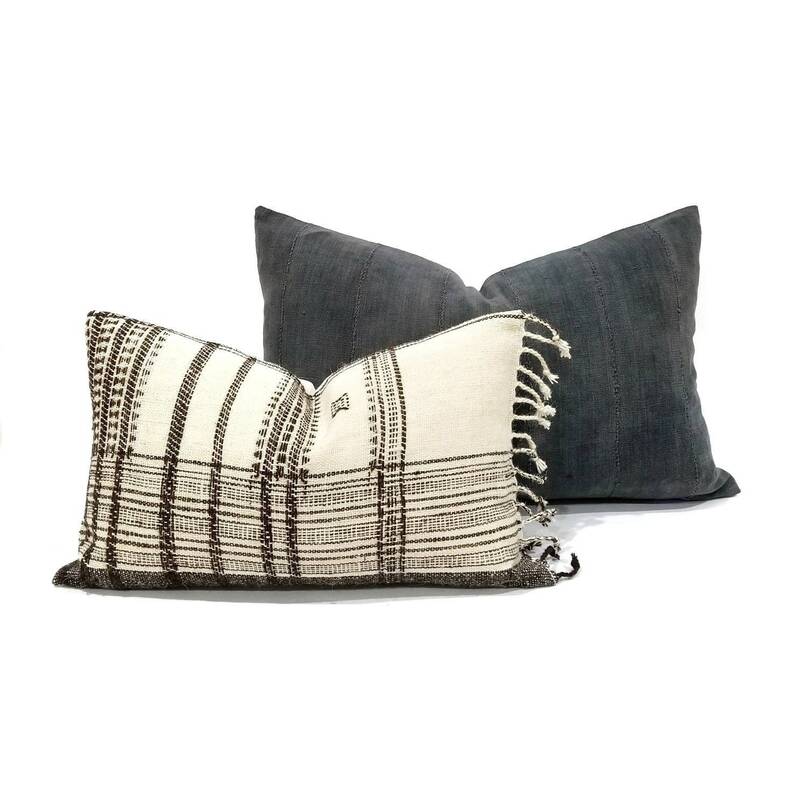 15.5"×23" Pillow cover made of vintage dark charcoal grey(olive undertone) fine weave mudcloth. All front vintage fabric have been prewashed prior to sewing. *Actual measurement of the pillowcase may vary by .5"-1". 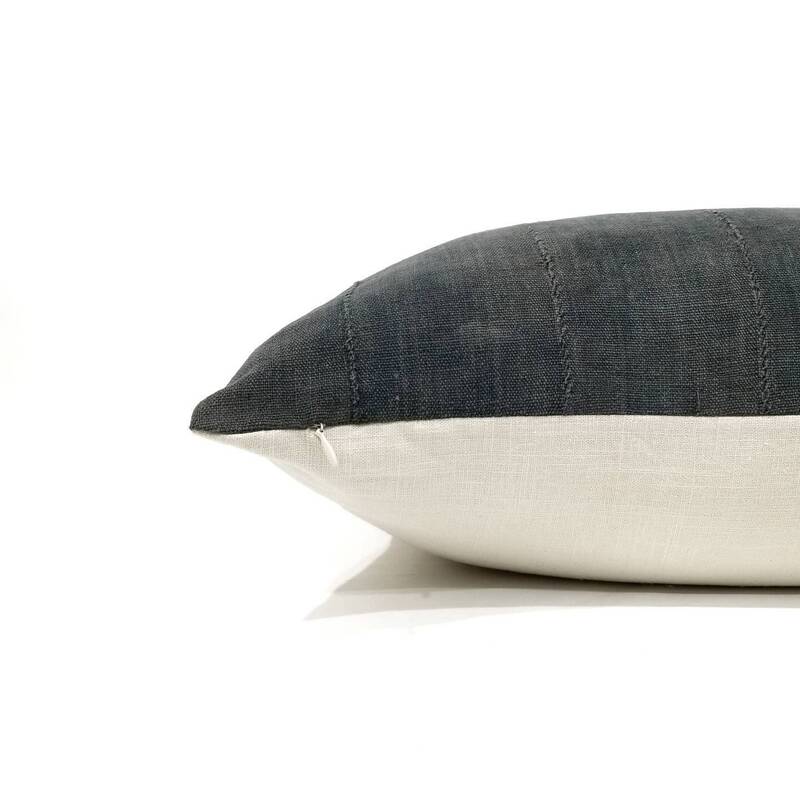 *Since this pillow is made from vintage textile, small stains, resewn seams or fabric wear might be present. 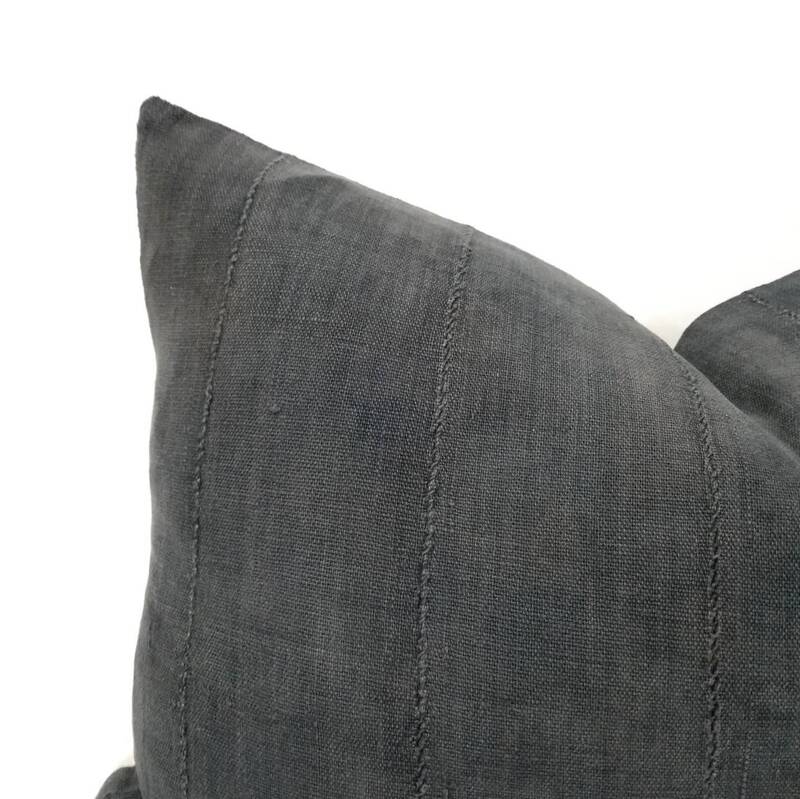 This is not considered defect and only adds character to each handmade pillows. 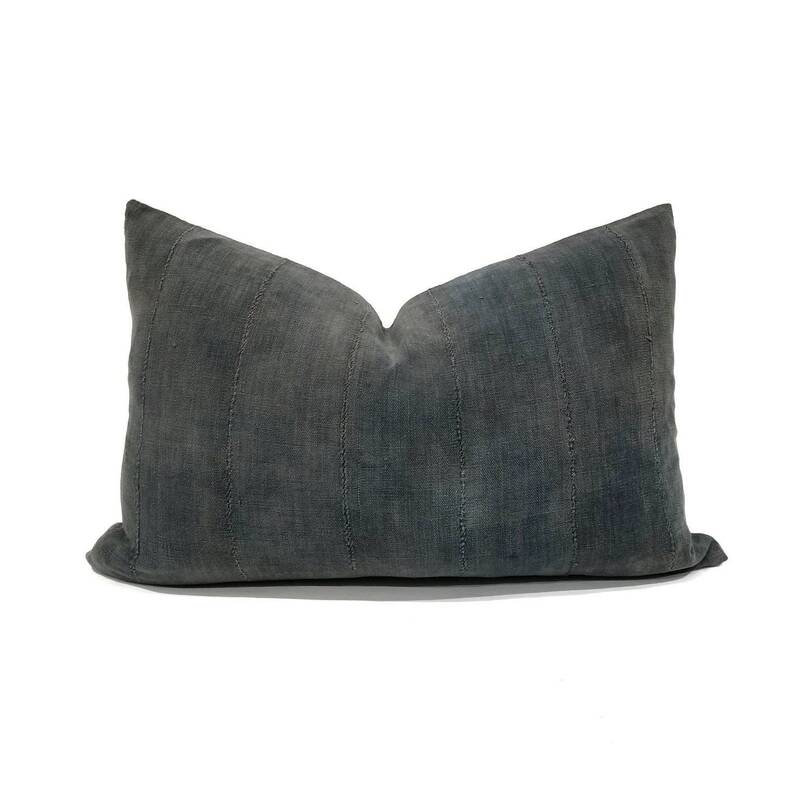 Gorgeous pillows! 2nd purchase from this shop and never disappointed. Measurements right on, fabric & color as pictured. Love them!